Is the 2019 Porsche Cayenne All-Wheel Drive? If you’re looking for a Porsche vehicle with all-wheel drive, you’ll be glad to know that it comes standard in the 2019 Porsche Cayenne. No matter which trim you decide, the AWD system will ensure that even the fastest of models will maintain grip on the roads as it puts down the power. Besides this sporty SUV’s impeccable ability to grip the roads, it also boosts a powerful engine as well as a number of performance enhancing features. Thanks to the 3.0-liter turbocharged V6 offering 335 horsepower, the Cayenne can go from zero to 60 in a matter of 5.9 seconds. Looking to speed up your ride even more? Step on the gas in the Cayenne Turbo, and its 4.0-liter twin-turbo V8 engine providing 541 horsepower will take you from zero to 60 mph in just 3.9 seconds. Designed with adaptive air suspension, both driving dynamics and comfort are increased. The use of three-chamber technology allows for a seamless blend of of comfort and sportiness, thanks to the adjustment of the spring rate to suit the driving mode and situation. To further enhance your performance and everyday driveability, take advantage of optional rear-axle steering. At low speeds, agility is increased and parking becomes easier. At high speeds, the virtual extension of the wheelbase enhances driving stability. Are you ready to hit the Los Angeles streets in one of our new Porsche Cayenne models for sale? Come on over to our Porsche dealership for a test drive! 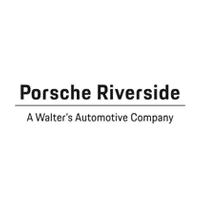 If you have any questions or comments for our Porsche dealer, please don’t hesitate to contact us at (888) 375-7976. 0 comment(s) so far on Is the 2019 Porsche Cayenne All-Wheel Drive?